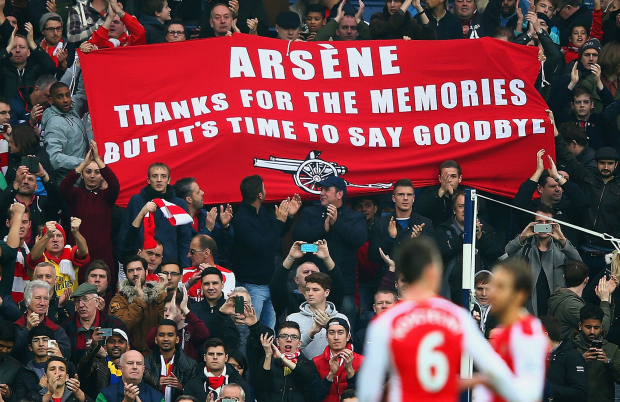 Arsene Wenger’s time at Arsenal could be nearing an end with more intense cried heard by Arsenal fans following their average Premier League form, consistent early Champions League exits and lack of star power being acquired in the transfer windows. Arsene has no doubt been an all-time great for the Arsenal brand however is he able to cut it anymore with a much more volatile Premier League on the horizon where most teams can field the world’s best talent. The Arsenal fans have had just about enough and the bookmakers predict more likely than not this season that he will leave the Emirates for good. Diego Simeone is one name that’s been thrown about the Emirates for a while now however the likelihood of Arsenal attracting his services are very slim. Simeone is dubbed one of the best managers in the world after his impressive transformation of the Atletico Madrid team. His hard-working aggressive style of play would be a big change of pace for the Arsenal squad although it might be the lift they need to elevate them to the next level. However, Simeone has a long-term contract with Atletico Madrid and seems very content to stay and manage the club he used to play for. Bringing back former players to be your clubs manager can often spell trouble with the weight of expectation for success from them however it can also bring a sense of unity with the fans and players as they get to support and play for someone who understand the history and culture of the club. Not only this, but Patrick Vieira is an absolute legend! He’s just starting his journey as a manager and is currently trying his luck in the MLS with the newly formed New York City where he’s not having the best of luck. It would be a bit of a gamble however if he can motivate the Arsenal players who knows what he could do with them. Italian manager Allegri is another name being forced into the equation at the Emirates. Allegri has a fairly impressive CV and is relatively young for a manager at the age of 49. Although he is signed on to managing Juventus for the foreseeable manager he may fancy a change of pace after cleaning up in Serie A for two years running – which is looking likely to be a third. With the lack of competition there he may look to The Premier League where the competition intensifies each year. Again, Allegri could bring a distinctive new style of play to Arsenal which fans have been begging for a long time for. Whilst Arsenal play pretty football they lack the aggression and passion that an Italian manager could bring to them.